Our spring season Rejuvenation Plus program will not only remove moss and thatch and feed your lawn when it needs it, but with the mild daytime temperatures of spring, it is the perfect time to add thickness and health to your lawn with a professional over-seeding. This program has also been designed to “sweeten up” the acidic soil found in British Columbia by applying all-natural organic Dolomitic Lime that will not only restore the neutral balance that is favourable to turf grass growth…but it also promotes resistance to moss and weed problems. By removing excess moss and thatch with our de-thatching / power raking service, relieving compaction and creating channels for nutrient penetration with core aeration, neutralizing soil acidity with organic lime and following it up with professional golf course quality fertilizer and A-List lawn seed, your lawn will undergo a transformation in front of your eyes in only a few short weeks. 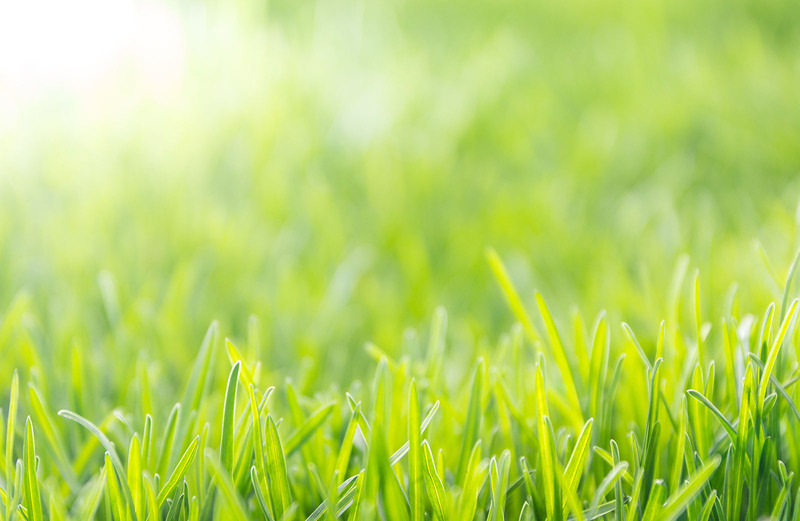 The Lawn Rejuvenation Plus program is our premiere program for clients looking to re-awaken the greatness in their lawn. Our lawn care specialists will first test the blade depth to ensure the correct thatch layer is removed. Once blade depth is established our professional de-thatcher will remove all excess thatch/moss from the base of your lawn. After the dead thatch/moss has been lifted from the base of your lawn our staff will rake and bag, leaving your lawn clean and ready for our fertilizer and seed blends to do their work. Click here for more information on de-thatching. When we met with suppliers to source the seed blend for our lawn care programs, we told them that our goal was long-term growth and development of the turf – not the short-term yields you get from most quick-germinating seed varieties. Since British Columbia lawns respond best to over-seeding with Ryegrass, we built our over-seeding strategy around high quality A-List perennial varieties of Ryegrass that possess the right characteristics to thrive in the B.C. climate. While the wholesale cost is much higher than lower quality seed blends, we have found that they offer excellent value for the results they get for our customers. Together, these new seeds will build up your lawn's base over the long-term while also filling in the gaps that tend to appear each year in shaded and well-worn areas. We are confident that this over-seeding strategy is a smart, sustainable way to optimize every lawn's health and appearance. Note: We encourage all of our customers to do their part to stimulate maximum germination of the seed by keeping their lawn damp for 10 to 20 days following the over-seeding. Canadian Property Stars uses Milorganite, an organic nitrogen fertilizer proven to work on everything that grows. Since it contains virtually no chemical salts, there’s no need to worry about burn spots on the surface of the lawn. Another nice feature of Milorganite is that it promotes beneficial microbial activity which will decrease compaction in the soil and improve its ability to absorb and retain water. Milorganite’s slow-release formula provides nitrogen to the lawn over an 8- to 12-week period. This is critical to minimizing the problems of excessive turf growth such as overly frequent mowing, abundant grass clippings and excessive thatch build-up. Lastly, Milorganite is formulated with 4% iron to really get the green going in the lawn. Iron is essential to the formation of chlorophyll and Milorganite has the right amount to help customers Spring into Green! It's well known that the high amounts of annual rainfall in the Lower Mainland and on the Island wash away key nutrients leaving you with soil that is too acidic for optimal lawn health. For this reason, the Lawn Rejuvenation Plus program sweetens up your soil with an all-natural organic Dolomitic Lime treatment that not only restores the neutral balance that is favourable to turf grass growth…but also promotes resistance to moss and weed problems. The ultra-important service of Core Aeration is quite simply the very best of turf-grass cultural practices that can be performed on a lawn each year. Our mechanical core aeration machines remove thousands of small cylindrical cores of earth and grass from the base of the lawn. This service effectively breaks up the thatch barrier that forms on the top of the lawn after a long winter season. As this barrier is broken down and the soil compaction resulting from the weight of the snow is relieved, the lawn is now able to breathe again and can absorb all that the new growing season has to offer. Spring rain, oxygen and nutrients will quickly reach the root system with ease, enhancing the effects that they produce. Click here for more information on aeration. This particular service was the driving force behind the growth of Canadian Property Stars over the past 20 years and we firmly believe that it remains the single most important service that no lawn should go without! To order now, consult our Transparent Pricing menu where, for each property size range, there is “One Price – No Surprises”. From there, you can click through to securely place your order. Discover our service areas for British Columbia. Didn't see your lot size? Request a quote. When have you ever been able to obtain an exact price for lawn care services without having to go through the typical “Free Lawn Analysis” or “Free Estimate” process? At Canadian Property Stars we have absolutely NOTHING TO HIDE! We offer extremely good services at competitive prices and we want to make your ordering process as streamlined and efficient as possible. Simply identify your “Lot Size Range” and you have your EXACT program price without having to make a call or wait for a representative to visit your home. © Canadian Property Stars Ltd.